Customized to fit your needs, is also offered without stones, light to medium or deep tissue. 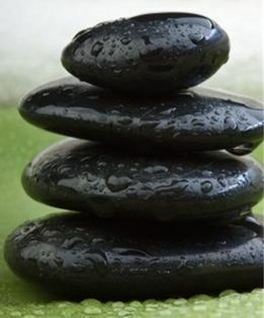 This is a massage that utilizes stones and massage. I use stones that are heated up to 120 degrees, this is the healing benefit. As I massage and flip the stones they give up their heat into your tissue, very rapidly. What you feel is a trail of heat that warms the muscles, creating circulation, sedation of the nervous system and deep relaxation through-out the body. This technique opens up the body which allows for deeper massage manipulation. Pressure and heat is adjustable to fit your needs. If you have experienced hot rock/hot stone massage elsewhere, you will definitely feel the difference. I am skilled and trained under the LaStone Therapy principles.